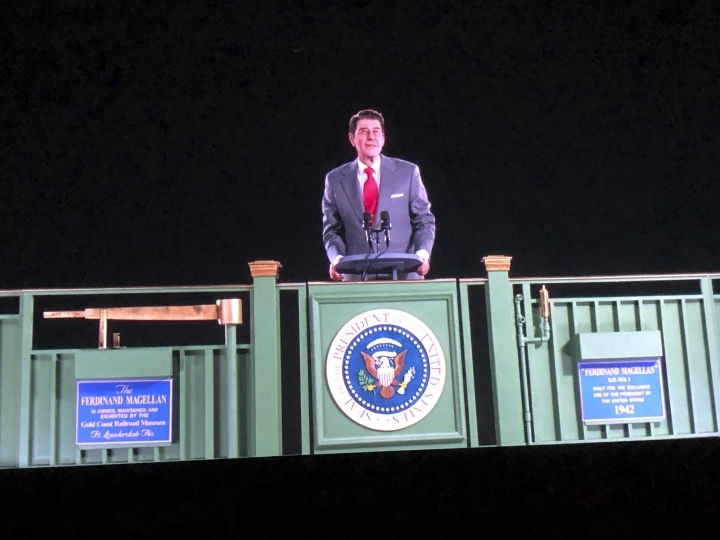 SIMI VALLEY, Calif. — A characteristic twinkle in his eye, Ronald Reagan waves to a crowd from aboard a rail car in a hologram revealed Wednesday at the late president's namesake library in Southern California. "We think we made a good beginning, but you ain't seen nothin' yet!" the digital resurrection of the nation's 40th president says in his steady voice as a flurry of balloons falls in front of him. Reagan, who died in 2004 at age 93, was speaking about the nation's future during a 1984 campaign stop but easily could have been referencing the technology that brought him back to life in 2018. The audio used is edited from his real remarks. "We wanted to make President Reagan as lifelike as possible," said John Heubusch, executive director of the Reagan Foundation. "It's a stunning experience." They will be shown in a specially designed room that will be the first stop for guests. Seats are set up in front of a stage, and a curtain opens up to thunderous applause at Reagan's campaign stop more than three decades ago. The computer-generated imagery for the holograms was created starting with a silicone cast of Reagan's head that was photographed from various angles with 300 cameras. 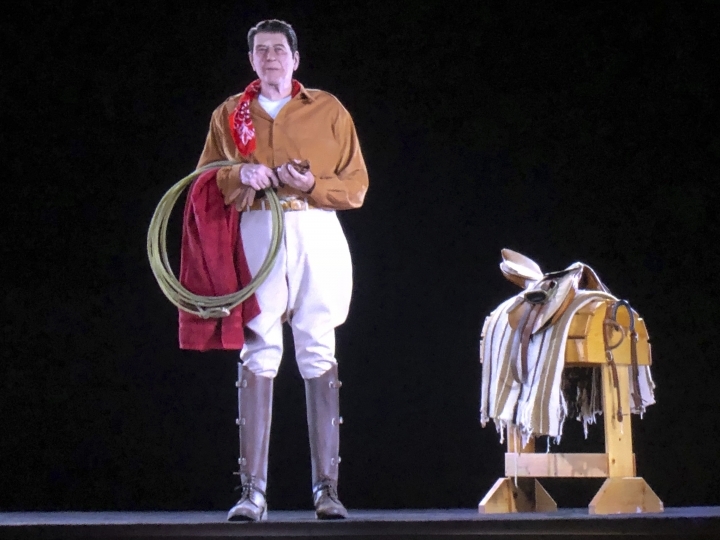 His head was then digitally "placed" on the body of an actor portraying the president with full costumes and backdrops for the three scenarios. Reagan's face comes to life via specific movements of the mouth, nose, eyes, cheeks and hairline, all manipulated by computers. The Hollywood firm Hologram USA helped create the holograms and the stage on which they're projected. "He always thought many steps ahead," he said. "If he was looking down right now on this project, I think he would give us his seal of approval. I think he would totally get this and support it." Seeing her former boss "almost in the flesh" was "a little eerie, but at the same time, very comforting," said Joanne Drake, who served as Reagan's chief of staff after the Republican left office following his two terms from 1981 to 1989. "It's fun to think that he's standing in front of us," said Drake, who's now chief administration officer for the foundation. "Intellectually, you know it's not him standing there, but you see his facial movements and his arm movements and his body and that twinkle in his eye and that little grin that he always got, and it makes you remember really what he brought to the office." "I do think we're going to see Ronald Reagan back in Washington, D.C.," she said.